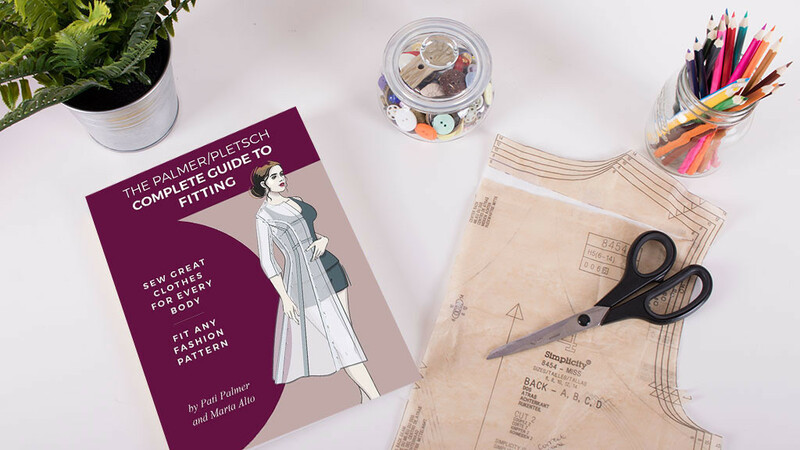 This entry was posted in How To Sewing Guides on December 7, 2018 by Sew Essential. 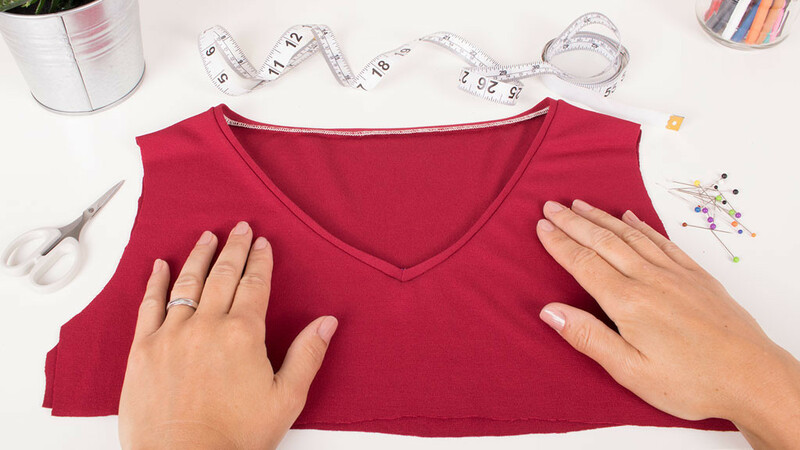 Bias binding is a quick, easy and neat way to finish raw edges in areas such as necklines, armholes or sleeves. In this article we share five (yes five) ways you can finish a raw edge with a binding depending on your preference. This entry was posted in How To Sewing Guides on October 16, 2018 by Sew Essential. Personally I love a V neck and find them very flattering. They seem to accentuate the bust whilst also revealing the collar bone for a nice slimming effect. I'd never sewn one in jersey until I made my tropical maxi dress and was pleasantly surprised how easy it was to draft and sew a knit V neck. 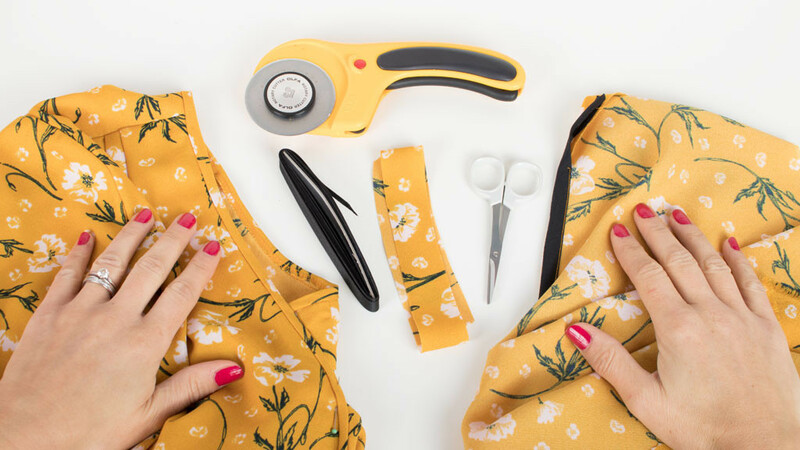 This entry was posted in How To Sewing Guides on July 27, 2018 by Sew Essential. A coverstitch binding attachment will help you to achieve perfect and professional knit and jersey neckbands every time. No more stress, no more holding of breath, just straight forward, easy knit neckbands in one simple step. 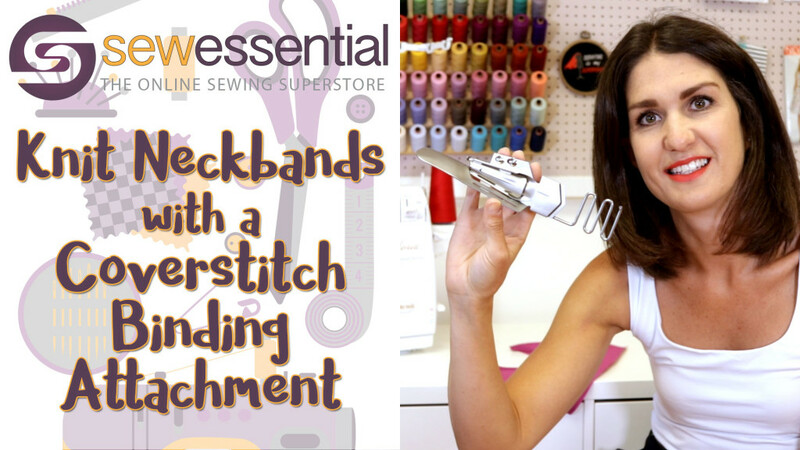 In this video I'll demonstrate exactly how it works and where you can find the attachment for your coverstitch/coverlock machine to make your perfect jersey neckband dreams a reality! This entry was posted in How To Sewing Guides on July 6, 2018 by Sew Essential. Sewing an invisible zipper strikes fear into the hearts of many a sewist! One of the main challenges is avoiding that annoying bubble that can occur at the end of the zip. 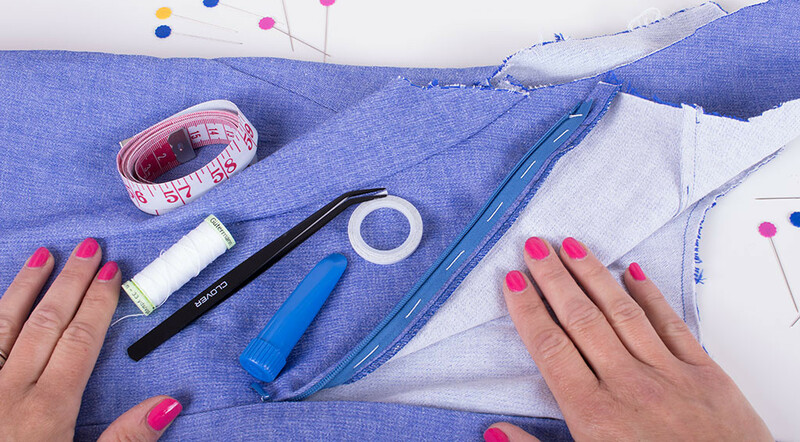 In this handy tutorial we'll show you how to prevent the bubble and remove the challenge of sewing around the zipper. It's a goodie! This entry was posted in How To Sewing Guides on June 15, 2018 by Sew Essential. This double cuff tutorial is a great way to change the sleeve design of a garment. I always think a rolled up cuff looks modern and casual. A kind of 'I just threw this on, but my look is totally put together' vibe. Learn how to do it in just a few easy steps. 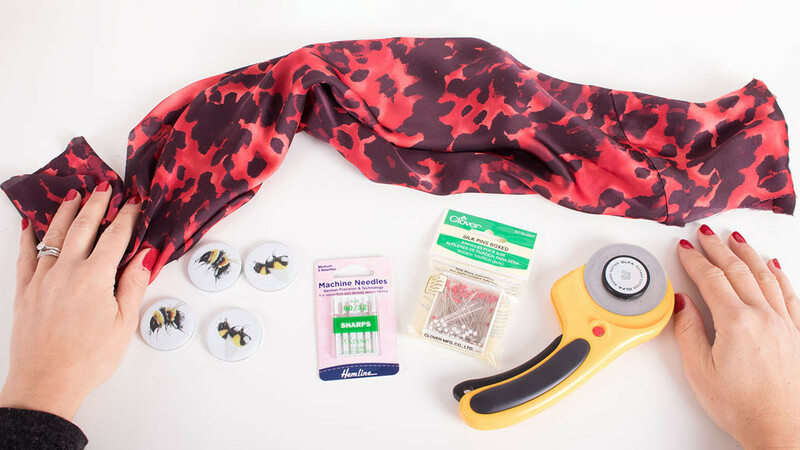 This entry was posted in How To Sewing Guides on May 18, 2018 by Sew Essential. Buttonholes are a crucial part of many sewing projects, but can be a scary prospect. Adding buttonholes is often one of the final steps in a project making it even more nerve wracking. Get them wrong and it could spoil all of your hard work - gulp! In this article we share our top tips and techniques to keep you cool as a cucumber when completing this vital step. You never know, you might even grow to like them! This entry was posted in How To Sewing Guides on April 13, 2018 by Sew Essential. Love it or hate it, finishing seams is a crucial step in producing a well made garment. 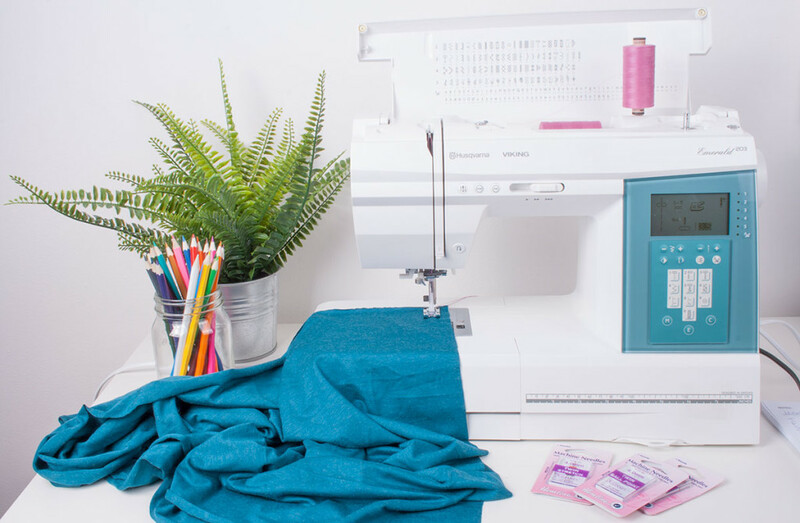 Using an overlocker or overcasting stitch on your machine are the most common techniques, but there are plenty of other fun alternatives to try. In this article we share a few of the most common seam finishing techniques that might just crank up the excitement levels when it comes to this step in your dressmaking! This entry was posted in How To Sewing Guides on March 29, 2018 by Sew Essential. We recently started hosting Q&A vlogs, which have been hugely popular and a great way to interact with our lovely customers and followers. It has also increased our awareness of what you would like to learn more about hence today's blog article on sewing with a twin needle. In this article we'll take you through twin needle basics and look at trouble shooting when you don't quite get the results you're looking for. This entry was posted in How To Sewing Guides on March 9, 2018 by Sew Essential.